History | Hajime Research Institute, Ltd.
We and our robots appeared on television and radio, and published in newspapers and magazines. 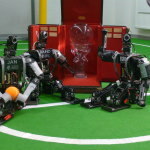 We or our robots won fighting games “ROBO-ONE” by humanoid robots and won global soccer tournament “RoboCup” by autonomous control robots. 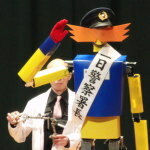 We also got the Robotics Society of Japan Award. 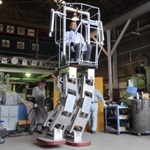 We did demonstration of humanoid robots in manufacturing business and science events. 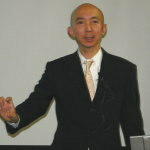 We did lectures on robot technology at industrial high schools and colleges. I wrote papers about humanoid robots.